this is the link to check it out for yourself. Below is text from their web site. Mbwana and his best friend Juma are two young men with big dreams. These dreams become reality when they photograph a gigantic fish leaping out of the sea and their small town blossoms into a tourist hot-spot as a result. But for Mbwana, the reality isn't what he dreamed – and when he meets the fish again, both of them forgotten, ruined and old, he decides only one of them can survive. 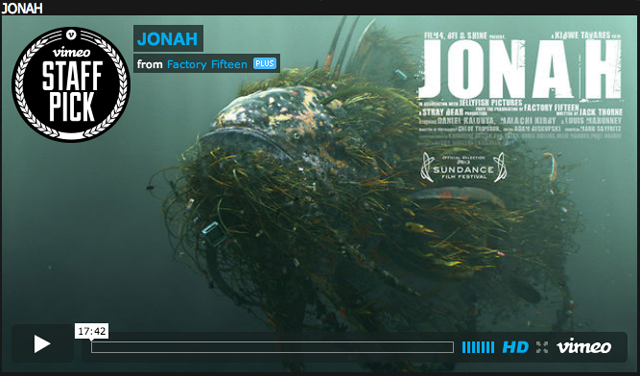 Jonah is a big fish story about the old and the new, and the links and the distances between them. A visual feast, shot though with humour and warmth, it tells an old story in a completely new way.